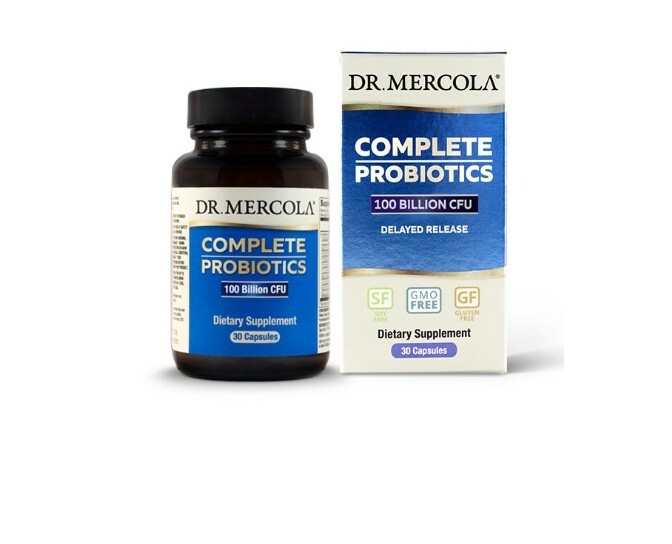 In addition to the original Mercola Complete Probiotics product that supplies 70 billion CFU of 10 valuable strains of beneficial bacteria, there’s now an option for those who want a higher potency for even greater microbiome support: 100 Billion CFU Complete Probiotics. 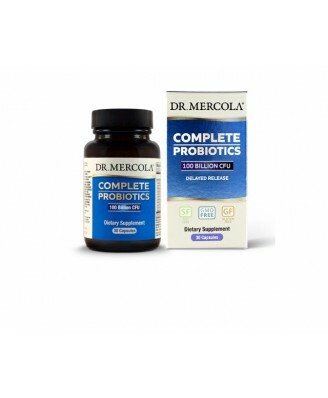 In addition to the Mercola original Complete Probiotics product that supplies 70 billion CFU of 10 valuable strains of beneficial bacteria, there’s now an option for those who want a higher potency for even greater microbiome support: 100 Billion CFU Complete Probiotics. Suitable for both short-term use and long-term maintenance, my 100 Billion CFU Complete Probiotics floods your body with 10 strains of exceptional beneficial bacteria, including hard-to-find Lactobacillus acidophilus DDS-1. 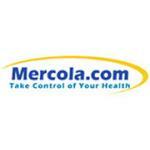 This Mercola formula also contains Fructooligosaccharide (FOS) as a form of prebiotics. Most importantly, this Mercola 100 Billion CFU Complete Probiotics comes packed in patented DRcaps™ capsules. The first of their kind, these hard capsules are made of a vegetable substance that slows down capsule opening after swallowing. There are NO bioengineered ingredients in this formula. And it’s perfect for travel because our 100 Billion CFU Complete Probiotics requires no refrigeration. Adults, as a dietary supplement, take one capsule daily, preferably in the morning. Keep out of reach of children. Do not use if safety seal is broken, If you are nursing, pregnant, taking medication or have a medical condition, consult your physician before taking this product. Stable for up than 18 months when stored in a cool dry place.